Excellent pre-workout booster, so that your training will come to an even higher level! Proven and effective active ingredients in well thought doses. Bet on the highest quality at a good price! 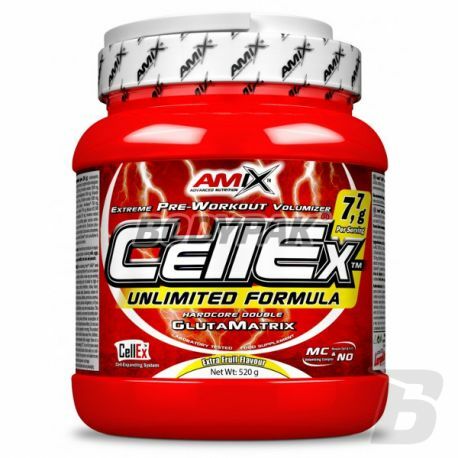 Amix Cellex Unlimited ™ is a pre-workout booster nitrogen n.o specially designed by AMIX. This unique formula increases energy levels and performance training intensity by moving to a completely different dimension. This amazing supplement also contains glutamic acid matrix. Phosphomatrix increases blood flow and oxygen uptake, it provides all the essential nutrients to the muscle cells, which play a key role in building muscle mass. 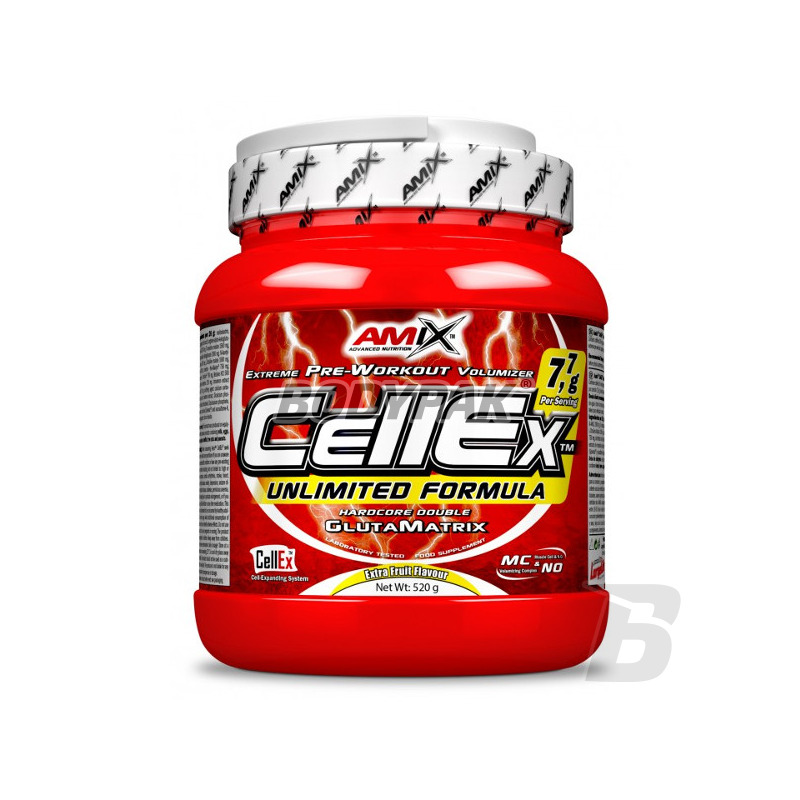 Amix ™ Cellex Unlimited will provide your body with extreme muscle pump, a large amount of strength and explosive power will also increase your stamina and concentration. Cellex is the ideal partner on the way to achieve even the most demanding goals! One serving 30 minutes before workout. Other ingredients: glucose polymers (maltodextrin), citric acid, sodium carbonate, aroma, sucralose (SPLENDA), acesulfame K, dyes (beetroot extract - multi-flavor, beetroot extract and curcumin - orange flavor), silicon dioxide. Smak obrzydliwy, ale to nie ma smakować tylko działać, a działa bardzo dobrze! Ciężko czasem się zmotywować do treningu po 12h pracy, dlatego sięgam po ten produkt i od razu nabieram chęci !! Smak wieloowocowy całkiem niezły (chociaż zazwyczaj mi nie odpowiada), skład dobry, cena akceptowalna. Świetnie się sprawdza jako buzer przed treningiem. Dobrze pompuje i zapewnia niesamowity kop na treningu.